In our continuing efforts to shed more light upon the connections between America and Britain, we would like to show that the U. S. legal system is not only built upon the British Bar, but is, in fact, still subject to it. This idea that the British monarchy “controls everything” in the world is usually considered a conspiracy. But once you have read excerpts from The Crown Temple by Rule of the Mystery Babylon below, you may find yourself re-examining true history of U. S. law. HISTORY IS OFTEN MORE SHOCKING THAN FICTION, AND IN THIS CASE IT IS EXTREMELY SO. The American Intelligence Media recently posted an article showing that the British system of secret committees and privileges for the elite are still operative today, as they have been for centuries. No one may formally ask about the British Crown’s “business”; therefore, few Americans or Brits know much at all about the economic insider trading and manipulations in which the Queen of England is embroiled. In this presentation we point out that every law, attorney, and judicial system of America has arisen from a most dubious and un-democratic system that favors the rich and keeps the commoners in the dark. We hope to shed light on this ancient system that actually arose from Vatican Canon Law and has now reached into every country in the Western world. Our Western system of law tends towards lawlessness and its origins go back to the middle ages where the rule of the monarchy was a divine right of kings and commoners had few, if any, rights. The Honorable Society of the Inner Temple, commonly known as the Inner Temple, is one of the four Inns of Court (professional associations for barristers and judges) in London. To be called to the Bar and practice as a barrister in England and Wales, an individual must belong to one of these Inns. It is located in the wider Temple area of the capital, near the Royal Courts of Justice, and within the City of London. The Inn is a professional body that provides legal training, selection, and regulation for members. It is ruled by a governing council called “Parliament”, made up of the Masters of the Bench (or “Benchers”), and led by the Treasurer. The Temple takes its name from the Knights Templar, who originally leased the land to the Temple’s inhabitants (Templars) until their abolition in 1312. The Inner Temple was a distinct society from at least 1388. The Inner Temple is one of the four Inns of Court, along with Gray’s Inn, Lincoln’s Inn, and the Middle Temple. The Inns are responsible for training, regulating, and selecting barristers within England and Wales, and are the only bodies allowed to call a barrister to the Bar and allow him or her to practice. The Temple is an independent, unincorporated organization, and works as a trust. It has approximately 8,000 members and around 450 apply to join per year. Although the Inn was previously a disciplinary and teaching body, these functions are now shared between the four Inns, with the Bar Standards Board (a division of the General Council of the Bar) acting as a disciplinary. During the 12th and 13th centuries, the law was taught in the City of London, primarily by the clergy. During the 13th century, two events happened that ended this form of legal education; first, a papal bull of 1207 that prohibited the clergy from teaching the common law, rather than canon law, and second, a decree by King Henry III on 2 December 1234 that no institutes of legal education could exist in the City of London. As a result, the Church ceased to have a role in legal education in London. It may come as a shock that when you ask about U. S. law, you get a description of ancient Roman, Vatican, and British references about which Americans know little. Most people would disagree that U. S. law has anything to do with such archaic forms of secret societies and groups that take vows to the Crown, both the Templar Crown and the British Royal Crown. One of the best articles we have came across that explains the historical roots of U. S. law is from Michael Edward. We do not recommend the entire article and therefore have chosen selections from the article that illuminate the foundations of British law that effect U. S. law. We hope that you will find the article helpful in our efforts to clearly elucidate the current web of control that the City of London UK still has over U. S. citizens. The governmental and judicial systems within the United States of America, at both federal and local state levels, are owned by the “Crown,” which is a private foreign power. We are specifically referencing the established Templar Church, known for centuries by the world as the “Crown.” From this point on, we will also refer to the Crown as the Crown Temple or Crown Templar, all three being synonymous. The Temple Church was built by the Knights Templar in two parts: the Round and the Chancel. The Round Church was consecrated in 1185 and modeled after the circular Church of the Holy Sepulchre in Jerusalem. The Chancel was built in 1240. The Temple Church serves both the Inner and Middle Temples and is located between Fleet Street and Victoria Embankment at the Thames River. Its grounds also house the Crown Offices at Crown Office Row. This Temple “Church” is outside any canonical jurisdiction. The Master of the Temple is appointed and takes his place by sealed patent, without induction or institution. ALL LICENSED BAR ATTORNEYS – ATTORNERS – IN THE U.S. OWE THEIR ALLEGIANCE AND GIVE THEIR SOLEMN OATH IN PLEDGE TO THE CROWN TEMPLE, REALIZING THIS OR NOT. This is simply due to the fact that all Bar Associations throughout the world are signatories and franchises to the international Bar Association located at the Inns of Court at Crown Temple. Although they vehemently deny it, all Bar Associations in the U.S., such as the American Bar Association, the Florida Bar, or California Bar Association, are franchises to the Crown. The Inns of Court to the Crown Temple use the Banking and Judicial system of the City of London – a sovereign and independent territory which is not a part of Great Britain (just as Washington City, as DC was called in the 1800s, is not a part of the north American states, nor is it a state) to defraud, coerce, and manipulate the American people. These Fleet Street bankers and lawyers are committing crimes in America under the guise and color of law. They are known collectively as the “Crown.” Their lawyers are actually Templar Bar Attornies, not lawyers. THE PRESENT QUEEN OF ENGLAND IS NOT THE “CROWN,” AS WE HAVE ALL BEEN LED TO BELIEVE. RATHER, IT IS THE BANKERS AND ATTORNIES (ATTORNEYS) WHO ARE THE ACTUAL CROWN OR CROWN TEMPLE. The Monarch aristocrats of England have not been ruling sovereigns since the reign of King John, circa 1215. All royal sovereignty of the old British Crown since that time has passed to the Crown Temple in Chancery. The U.S.A. is not the free and sovereign nation that our federal government tells us it is. If this were true, we would not be dictated to by the Crown Temple through its bankers and attornies. The U.S.A. is controlled and manipulated by this private foreign power and our unlawful Federal U.S. Government is their pawnbroker. The bankers and Bar Attorneys in the U.S.A. are a franchise in oath and allegiance to the Crown at Chancery – the Crown Temple Church and its Chancel located at Chancery Lane – a manipulative body of elite bankers and attorners from the independent City of London who violate the law in America by imposing fraudulent “legal” – but totally unlawful – contracts on the American people. The banks Rule the Temple Church and the Attorners carry out their Orders by controlling their victim’s judiciary. The first Chancel of the Temple Church was built by the Knights Templar, this is not a new ruling system by any means. The Chancel, or Chancery, of the Crown Inner Temple Court was where King John was, in January 1215, when the English barons demanded that he confirm the rights enshrined in the Magna Carta. This City of London Temple was the headquarters of the Templar Knights in Great Britain where Order and Rule were first made, which became known as Code. Remember all these terms, such as Crown, Temple, Templar, Knight, Chancel, Chancery, Court, Code, Order and Rule as we tie together their origins with the present American Temple Bar system of thievery by equity (chancery) contracts. By what authority has the “Crown” usurped the natural sovereignty of the American people? Is it acceptable that the U.S. Supreme Court decides constitutional issues in the U.S.A? How can it be considered in any manner as being “constitutional” when this same Supreme Court is appointed by (not elected) and paid by the Federal U. S. Government? The legal system (judiciary) of the U.S.A. is controlled by the Crown Temple from the independent and sovereign City of London. The private Federal Reserve System, which issues fiat U.S. Federal Reserve Notes, is financially owned and controlled by the Crown from Switzerland, the home and legal origin for the charters of the United Nations, the International Monetary Fund, the World Trade Organization, and most importantly, the Bank of International Settlements. Even Hitler respected his Crown bankers by not bombing Switzerland. The Bank of International Settlements in Basel, Switzerland controls all the central banks of the G7 nations. There are Four Inns or Temples of Court: the Inner Temple, the Middle Temple, Lincoln’s Inn, and Gray’s Inn. These Inns/Temples are exclusive and private clubs and secret societies of power in commerce. They are well established, some having been founded in the early 1200’s. The Queen and Queen Mother of England are current members of both the Inner Temple and Middle Temple. Gray’s Inn specializes in Taxation legalities by Rule and Code for the Crown. While the Inner Temple holds the legal system franchise by license to fleece Canada and Great Britain, it is the Middle Temple that has legal license to fleece America. This comes about directly via their Bar Association franchises to the Honorable Society of the Middle Temple through the Crown Temple. It’s a real eye opener to know that the Middle Inn of the Crown Temple has publicly acknowledged there were at least five Templar Bar Attornies, under solemn oath only to the Crown, who signed what was alleged to be an American Declaration of Independence. This simply means that both parties to the Declaration agreement were of the same origin, the Crown Temple. It’s merely a worthless piece of paper with no lawful authority when both sides to any agreement are actually the same. In reality, the American Declaration of Independence was nothing more than an internal memo of the Crown Temple made among its private members. By example, Alexander Hamilton was one of those numerous Crown Templars who was called to their Bar. In 1774, he entered King’s College in New York City, which was funded by members of the London King’s Inns, now named Columbia University. In 1777, he became a personal aide and private secretary to George Washington during the American Revolution. In 1782, Hamilton began studying law in Albany, New York, and within six months had completed a three-year course of studies, passed his examinations, and was admitted to the New York Bar. Of course, the New York Bar Association was/ is a franchise of the Crown Temple through the Middle Inn. After a year’s service in Congress during the 1782-1783 session, he settled down to legal practice in New York City as Alexander Hamilton, Esquire. In February of 1784, Hamilton wrote the charter for, and became a founding member of, the Bank of New York, the State’s first bank. He secured a place on the New York delegation to the Federal Convention of 1787 at Philadelphia. In a five-hour speech on June 18th, he stated “an Executive for life will be an elective Monarch.” When all his anti-Federalist New York colleagues withdrew from the Convention in protest, he alone signed the Constitution for the United States of America representing New York State, one of the legal Crown States (Colonies). Later, as President Washington’s U.S. Treasury Secretary, Hamilton laid the foundation of the first Federal U.S. Central Bank, secured credit loans through Crown banks in France and the Netherlands, and increased the power of the Federal Government over the hoodwinked nation-states of the Union. Hamilton had never made a secret of the fact that he admired the government and fiscal policies of Great Britain. Americans were fooled into believing that the legal Crown Colonies comprising New England were independent nation states, but they never were, nor are they today. They were and still are Colonies of the Crown Temple, through letters patent and charters, who have no legal authority to be independent from the Rule and Order of the Crown Temple. A legal State is a Crown Temple Colony. By the use of “State,” the significance of a government of estate possession was legally established. All of the North American States are Crown Templar possessions through their legal document, signed by their representation of both parties to the contract, known as the Constitution of the United States of America. All “Constitutional Rights” in America are simply those dictated by the Crown Temple and enforced by the Middle Inn Templars (Bar Attorners) through their franchise and corporate government entity, the federal United States Government. When a “State Citizen” attempts to invoke his “constitutional”, natural, or common law “rights” in Chancery (equity courts), he is told they don’t apply. Why? Simply because a State citizen has no rights outside of the Rule and Codes of Crown “law.” Only a state citizen has natural and common law rights by the paramount authority of God’s Law. Now you know why they create such an entity using all capital letters within Birth Certificates issued by the State. They convert the common lawful man of God into a fictional legal entity subject to Administration by State Rules, Orders and Codes (there is no “law” within any Rule or Code). Of course, Rules, Codes, etc. do not apply to the lawful common man of God, so the man with inherent Godly law and rights must be converted into a legal “Person” of fictional “status” (another legal term) in order for their legal – but completely unlawful – State Judiciary (Chancery Courts) to have authority over him. Chancery Courts are tribunal courts where the decisions of “justice” are decided by 3 “judges.” This is a direct result of the Crown Temple having invoked their Rule and Code over all judicial courts. The Crown Temple was granted Letters Patent and Charters for all the land (Colonies) of New England by the King of England, a sworn member of the Middle Temple (as the Queen is now). Since the people were giving the patent/charter corporations and Colonial Governors such a hard time, especially concerning Crown taxation, a scheme was devised to allow the Americans to believe they were being granted “independence.” Remember, the Crown Templars represented both parties to the 1776 Declaration of Independence; and, as we are about to see, the latter 1787 U.S. Constitution. To have this “Declaration” recognized by international treaty law, and in order to establish the new legal Crown entity of the incorporated United States, Middle Templar King George III agreed to the Treaty of Paris on September 3, 1783, “between the Crown of Great Britain and the said United States.” The Crown of Great Britain legally was, then and now, the Crown Temple. 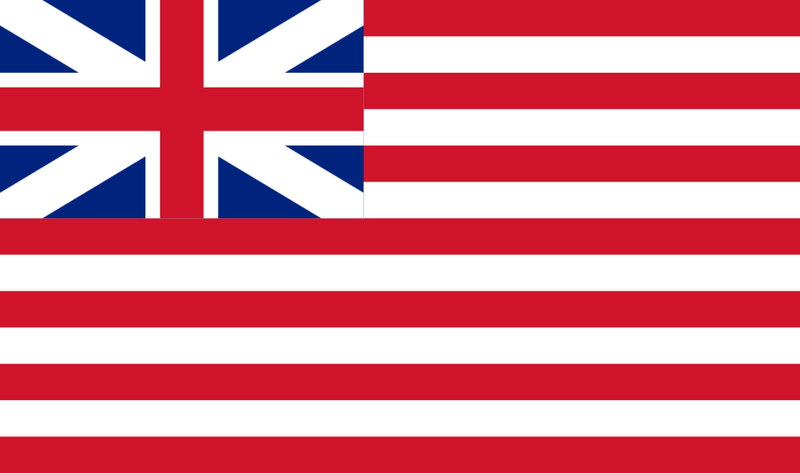 This formally gave international recognition to the corporate “United States”, the new Crown Temple States (Colonies). Most important is to know who the actual signatories to the Treaty of Paris were. Take particular note to the abbreviation “Esqr.” following their names as this legally signifies “Officers of the King’s Courts”, which we now know were Templar Courts or Crown Courts. This is the same Crown Templar Title given to Alexander Hamilton. The Crown was represented in signature by “David Hartley, Esqr.”, a Middle Templar of the King’s Court. Representing the United States (a Crown franchise) by signature was “John Adams, Esqr”, “Benjamin Franklin, Esqr.” and “John Jay, Esqr.” The signatories for the “United States” were also Middle Templars of the King’s Court through Bar Association membership. What is plainly written in history proves, once again, that the Crown Temple was representing both parties to the agreement. An additional $6 million dollars was loaned to the United States at 5% interest by the same parties in a similar Contract signed on February 25, 1783. The Crown Bankers in the Netherlands and France were calling in their debts for payment by future generations of Americans. Most who have commented on this charter often emphasize the payments due the Pope and the Roman Church. King John broke the terms of this charter by signing the Magna Carta on June 15, 1215. Remember; the penalty for breaking the 1213 agreement was the loss of the Crown (right to the kingdom) to the Pope and his Roman Church. To formally and lawfully take the Crown from the royal monarchs of England by an act of declaration, on August 24, 1215, Pope Innocent III annulled the Magna Carta; later in the year, he placed an Interdict (prohibition) on the entire British Empire. From that time until today, the English monarchy and the entire British Crown belonged to the Pope. In Colonial America, attorneys trained attorneys but most held no title of nobility or honor. There was no requirement that one be a lawyer to hold the position of district attorney, attorney general, or judge; a citizen counsel of choice was not restricted to a lawyer; there were no state or national bar associations. The only organization that certified lawyers was the International Bar Association (IBA), chartered by the King of England, headquartered in London, and closely associated with international banking systems. Lawyers admitted to the IBA received the rank of Esquire – a title of nobility – Esquire was the principle title of nobility which the 13th Amendment sought to prohibit from the United States. The loyalty of Esquire lawyers was suspect. Bankers and lawyers with an Esquire behind their names were agents of the monarchy, members of an organization whose principle purposes were political, not economic. Article 1, Sect. 9 of the Constitution sought to prohibit the International Bar Association (or any other agency that granted titles of nobility) from operating in America. But the Constitution neglected to specify a penalty, so the prohibition was ignored, and agents of the crown continued to infiltrate and influence the government. Therefore, a title of nobility amendment that specified a penalty (loss of citizenship) was proposed in 1789, and again in 1810. The meaning of the amendment is seen in its intent to prohibit persons having titles of nobility and loyal-ties to foreign governments and bankers from voting, holding public office, or using their skills to subvert the government. In 1789, the House of Representatives compiled a list of possible Constitutional Amendments, some of which would ultimately become our Bill of Rights. The House proposed seventeen; the Senate reduced the list to twelve. During this process Senator Tristrain Dalton (Mass.) proposed an Amendment seeking to prohibit and provide a penalty for any American accepting a title of Nobility. Although it wasn’t passed, this was the first time a title of nobility amendment was proposed. Before a thirteenth state could ratify, the War of 1812 broke out with England. By the time the war ended in 1814, the British had burned the Capitol, the Library of Congress, and most of the records of the first 38 years of government. Whether there was a connection between the proposed title of nobility amendment and the War of 1812 is not known. However, the momentum to ratify the proposed Amendment was lost in the tumult of war. Then, four years later, on December 31, 1817, the House of Representatives resolved that President Monroe inquire into the status of this Amendment. In a letter dated February 6, 1818, President Monroe reported to the House that the Secretary of State Adams had written to the governors of Virginia, South Carolina and Connecticut to tell them that the proposed Amendment had been ratified by twelve States and rejected by two (New York and Rhode Island), and asked the governors to notify him of their legislature’s position. [House Document No. 76]. This, and other letters written by the President and the Secretary of State during the month of February, 1818, note only that the proposed Amendment had not yet been ratified. However, these letters would later become crucial because, in the absence of additional information, they would be interpreted to mean the amendment was never ratified. On February 28, 1818, Secretary of State Adams reported the rejection of the Amendment by South Carolina. [House Doc. No. 129]. There are no further entries regarding the ratification of the 13th Amendment in the Journals of Congress; whether Virginia ratified is neither confirmed nor denied. Likewise, a search through the executive papers of Governor Preston of Virginia does not reveal any correspondence from Secretary of State Adams. To create the present oligarchy (rule by lawyers) which the U.S. now endures, the lawyers first had to remove the 13th Titles of Nobility Amendment that might otherwise have kept them in check. In fact, it was not until after the Civil War and after the disappearance of this 13th Amendment, that American bar associations began to appear and exercise political power. Since the unlawful deletion of the 13th Amendment, the newly developing bar associations began working diligently to create a system wherein lawyers took on a title of privilege and nobility as ‘Esquires’ and received the honor of offices and positions (like district attorney or judge) that only they could hold. BY VIRTUE OF THESE TITLES, HONORS, AND SPECIAL PRIVILEGES, LAWYERS HAVE ASSUMED POLITICAL AND ECONOMIC ADVANTAGES OVER THE MAJORITY OF U.S. CITIZENS. Through these privileges, they have nearly established a two-tiered citizenship in this nation where a majority may vote, but only a minority (lawyers) may run the system. This two-tiered citizenship is clearly contrary to American’s political interests, the nation’s economic welfare, and the Constitution’s egalitarian spirit. The significance of this missing 13th Amendment and its deletion from the Constitution is this: Since the amendment was never lawfully nullified, it is still in full force and effect and is the Law of the land. If public support could be awakened, this missing Amendment might provide a legal basis to challenge many existing laws and court decisions previously made by lawyers who were unconstitutionally elected or appointed to their positions of power; it might even mean the removal of lawyers from the current U. S. government system. AT THE VERY LEAST, THIS MISSING 13TH AMENDMENT DEMONSTRATES THAT TWO CENTURIES AGO, LAWYERS WERE RECOGNIZED AS ENEMIES OF THE PEOPLE AND NATION. Yet, the denial of trial by jury is now commonplace in the U.S. courts, and habeas corpus, for crimes against the state, is suspended. By crimes against the state, I refer to political crimes where there is no injured party and the corpus delicti [evidence] is equally imaginary. The following court rulings clearly demonstrate that U. S. district and appeal courts are not Districts Courts of the United States and therefore are unlawfully operating under a false pretense. It is due to these examples of case law that we have the precedent to shut down all falsely established U. S. District and Appeal Courts that are not within the boundary of Washington D. C., which is the only place they may legally operate. The people of the United States had ordained with the constitution how the district courts of the United States were to be applied in Article III. Congress tricked Americans into believing that the UNITED STATES DISTRICT COURT is one and the same as the district courts of the United States. The U. S. Congress tried to overrule the U. S. Constitution by creating many extra “federal” courts that claim a higher authority over state courts. This is federalism expanding into the court system, where it should have no authority at all, let alone a “higher” authority. The district courts of the United States are Article III courts pursuant to the Judiciary Act of 1789 unless expressly defined to the contrary. The United States District Courts are legislative courts where Congress has legislative powers to exercise the its/their territory i.e. Guam, Northern Mariana Islands, Virgin Islands, Puerto Rico and District of Columbia. Let’s look at some governmental rules, regulations, and laws that address the issue again and again that US District Courts do not exist in states. The phrase “district courts of the United States” was held not to include district courts in the territories and insular possessions, Mookini v. United States, 303 U.S. 201. By subsequent legislation the Federal Rules of Civil Procedure were extended to the District Court of the United States for Hawaii and to appeals therefrom (Act of June 19, 1939; 53 Stat. 841; 48 U.S.C. § 646) and to the District Court of the United States for Puerto Rico and to appeals therefrom (Act of February 12, 1940; 54 Stat. 22; 48 U.S.C. § 873a). Subdivision (a)(1). – To conform to the nomenclature of revised Title 28 with respect to district courts and courts of appeals (28 U.S.C. § 132(a), 43(a)); to eliminate special reference to the district courts for the District of Columbia, Hawaii and Puerto Rico which are now United States district courts for all purposes (28 U.S.C. § 88, 91, 119, 132, 133, 451), and to eliminate special reference to the court of appeals for the District of Columbia which is now a United States court of appeals for all purposes (28 U.S.C. § 41, 43). The Sixth Amendment specifically references the “Districts”, wherein the obviously necessary “Judicial Power” is to be Invoked, in order to prosecute the cases and execute the Judgements arrived at thereunder. Powers of other Judicial Officers; Where Powers may be Exercised. The other links demonstrate the vast power that has been statutorily-recognized as legitimately residing there-in. Powers of Courts – in administration of court business & proceedings. Election Day Survey on precincts and polling places. This idea for the “De-Centralization of the Judicial Power”, is obviously part of the “Original Intent” of our U. S. Constitution as the supreme governing document. The vast majority of these courts and offices are presently “vacant”; and that means that they can be claimed and exercised by anyone, at least until “cause shown” is presented as to why those presumptive “Justice-of-the-Peace” precinct-level judicial offices are somehow not being legitimately exercised, or else that, in some way, their verdicts, judgements, and/or orders, are otherwise defective. The “Montana Freemen” were exercising this “Judicial-Power”, from their common law jurisdiction “Justus Township”; and the commercial instruments they were distributing to taxpayers to send to the IRS, received “Tax Refunds” back from the IRS. The “Basis-In-Law” for Common People Organizing Local Smaller Constitutional “Township” Communities. Fundamental Principles of American Constitutional Law and Government. When a ‘legal fiction’ has precedence over anything ‘real’, a case can be contrived by evil minds for self-benefit over anything. In short, the court system has been undermined using dialectic arguments to move the American Republic away from the sanctity of the individual to support the totalitarian principles of obedience by an elite. It is very simple to understand and observe. The only way to reverse this trend, is to ‘hold’ accountable our elected officials to the principles of the U. S. Constitution and not ‘case law’ in capricious courts. All of the fictions can be reversed very quickly by ‘winning’ court cases that ‘challenge’ the fictions. One would have to define the priority list of un-constitutional principles, find existing instances where they are propped up by ‘case law fictions’ without actual jury trials, and then challenge them through individuals representing the U. S. Constitution and the U. S. Bill of Rights. A tsunami of these would begin to drive public awareness and fear into the current circuit courts and perhaps cause the court of public opinion to motivate Congress to revisit all interpretations of Federal courts and their authority. The “federal government” is a “contract government.” It is here to provide “essential government services” as stated by Article IV of the U. S. Constitution. The “federal government” is foreign with respect to “we the people” and our states of the Union. In 1860, the British-backed Territorial Government began an illegal commercial mercenary action against another branch of the federal government – some of the member states of the American states union formed in 1781 under the Articles of Confederation. This is similar to what they have perpetuated innumerable times since in other places around the world, for the purpose of commandeering our National Government and putting their own puppet Territorial Government in charge. They were successful in doing this because they used clever semantic deceits and substitutions to fool the public into believing that nothing had changed. Specifically, they removed the original State of States operating as “State of Florida”, for example, and substituted their own territorial “State of Florida” organization instead, so that it appeared superficially that no change had occurred. IN FACT, THEY HAD COMPLETELY UNDERMINED OUR NATIONAL GOVERNMENT AND TRESPASSED AGAINST US TO TAKE OVER INTERNATIONAL LAND JURISDICTION FUNCTIONS THAT WERE NEVER DELEGATED TO THEM. The original State of Florida was converted to the Florida State, a place-holder land trust, also under the de facto control of the British-backed Territorial Government. And they settled in to meddle with our affairs and feed off of us and rack up phony debts against us and our assets for the next 150 years. They have enslaved their own people since the reign of Queen Victoria via clever corporate enfranchisement schemes using semantic deceit to mischaracterize their own people as “citizens” and chattel properties standing good for the debts of the government. THE SAME FRAUD HAS BEEN PERPETUATED THROUGHOUT THE FORMER BRITISH EMPIRE, AND OF COURSE, SURREPTITIOUSLY IMPOSED UPON AMERICANS. BRITAIN HAS BEEN OPERATING “AMERICA” AS A PUPPET MASTER SINCE 1868. IT WAS AND IS THE GREATEST THREAT TO OUR NATIONAL SECURITY AND THE PEACE OF THE WORLD. The British government and the affiliated British Crown Corporations, the Crown Temple Bar Association, the Bank of England, and the Bank of Scotland, deserve to be excoriated for their roles in causing commercial feudalism through British imperialism and legal control of all American institutions and systems of government. The British government and its affiliates have merely pretended to be our friends and allies while pillaging and enslaving us to archaic legal and economic systems of control. They owe us an incalculable debt and whether or not they ever pay it, that fact needs to be known, seen, and accepted for what it is. And even far more than the money, manpower, and natural resources that have been poured down the British drain, another debt needs to be recognized — the debt owed to our loyalty, friendship, and sacrifice in the face of their Breach of Trust.